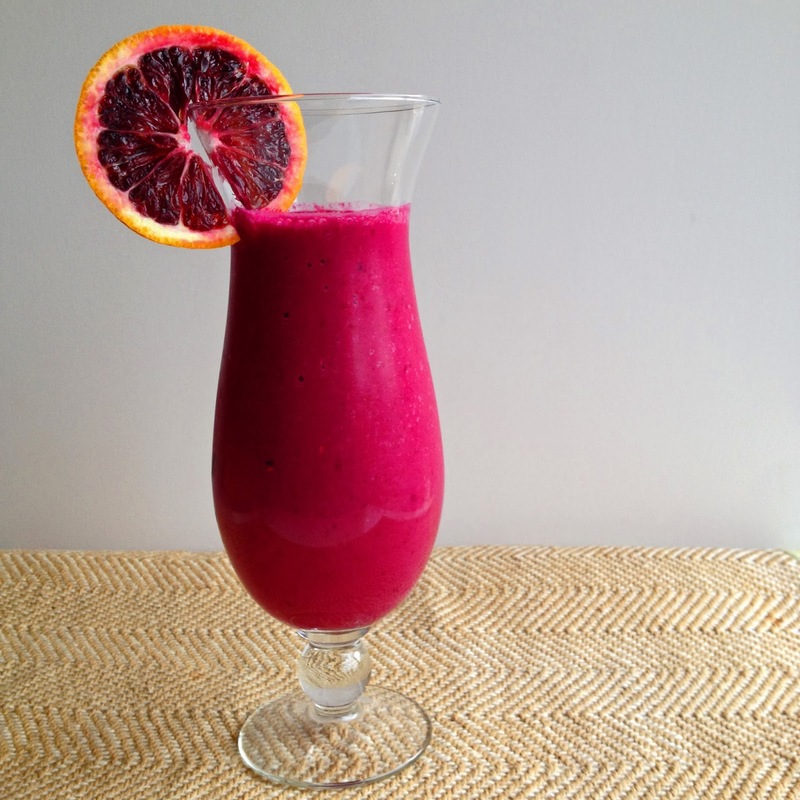 Roasted beets and frozen raspberries blended with Pomegranate juice. . . I made this smoothie for my hubby and took off saying, "finish it all, okay?". If I have told him what's in it, he would probably won't drink it at all. When I came home, he gave me a odd look asking "What a heck did you put in that smoothie!". He claimed it had a hint of dirt taste.